Situated on a peninsula with the Fewa Lake on one side and a forest-covered hill on the other, the Fish Tail Lodge offers spectacular views all round making it a unique lake resort. Guests are received and transported to the Lodge on its shuttle-floats or boats. Established in the late 1960’s with unique round cottages set amidst a lush garden, the Fish Tail Lodge is ideal for travelers desiring the charm of a small hotel with very high service standards. A choice of 48 standard rooms, central dinning room and bar contained in five ‘rounds’ and 12 deluxe rooms blend in harmony with the landscape. As testimony to the exclusive service and comfort offered, the Fish Tail Lodge has had the honour of hosting world leaders, royalty and heads of Government. To cite a few examples: HRH Prince Charles and HRH Princess Anne of England, Crown Prince Narihito of Japan, former Indian President N. Sanjiva Reddy, former US President Jimmy Carter, former US Secretary of State Henry Kissinger, former UN Secretary General Kurt Waldhiem, HRH Crown Prince V. Mahidol of Thailand and many other celebrities. For more information about the Trust, please click on the Princess Trust hyperlink below. All rates are subject to 10% service charge and 13% taxes . Reservation procedures and conditions according to international regulations. Special rates for groups and long staying guests. Children under 12 years- 50% discount. Fish Tail Lodge offers 60 comfortable guestrooms that are tastefully decorated, and come with an array of modern amenities to make your stay a pleasant one. All 48 Standard and 12 Deluxe Rooms have attached baths with running hot and cold water, Air-Conditioning/Heating, TV, Telephone and Refrigerators. 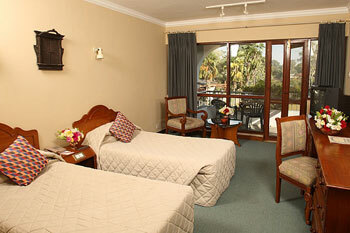 Deluxe Rooms have bathtubs and private balconies that offer excellent mountain views. 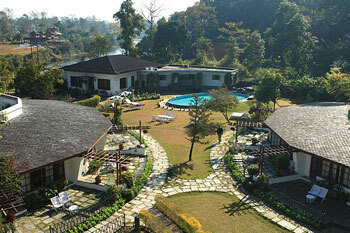 Guests can relish delicious Nepali, Continental, Chinese and Indian cuisine in our restaurant overlooking the lake. The Cozy Bar / Fireplace is an ideal place to unwind with an exotic drink after a busy day. The conference Hall can accommodate upto 70 persons in theatre style.